Helena took the opportunity to enjoy some ‘me-time without the kids’ at Bard on the Beach’s outdoor theatre production of ‘The Tragedy of Hamlet’ under the starry sky at Watsons Bay. When I was told I had the opportunity to review Bard on the Beach’s latest show of Hamlet, down at Watson’s Bay, the English geek inside of me squealed with excitement, like an Elizabethan pre-pubescent boy dressed up to play Juliet. To Bring Kids, Or Not To Bring Kids? 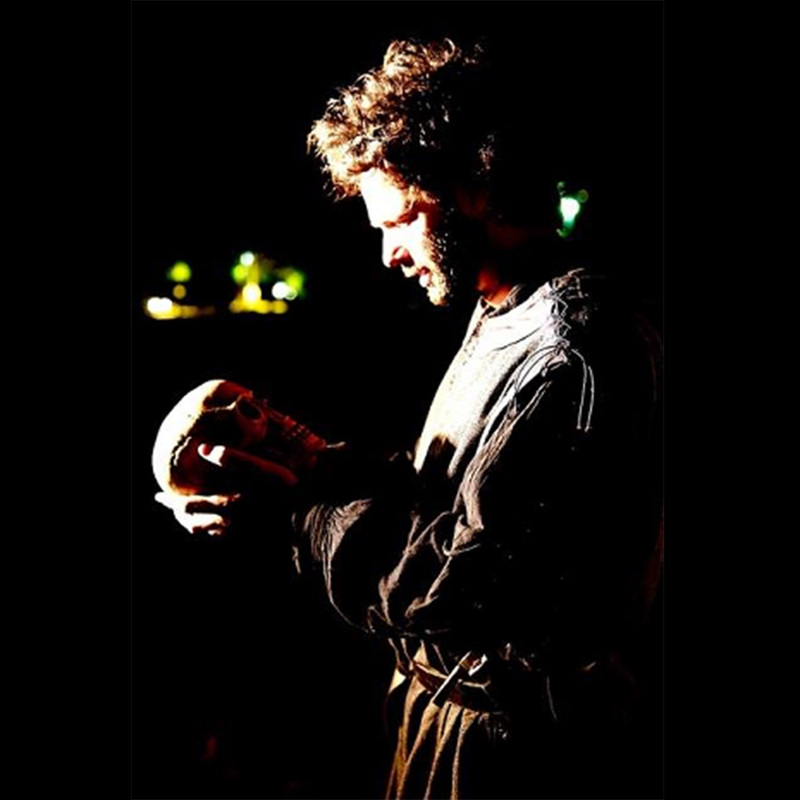 Bards on the Beach is a theatre company which aims to present Shakespeare in a relaxed, outdoor setting. As I looked around Robertson Park I could see adults of all ages cosying up on their picnic rugs. Food is available to buy from the Watson’s Bay Boutique Hotel. The play started and the characters came out dressed in traditional Shakespearean garb. The acting was strong and I particularly enjoyed the player obviously channeling Kevin Kline from Midsummer Night’s Dream, as well as the Monty Pythonesque grave digger! The lighting, props and sound effects were simple, making good use of the stunning backdrop of Watson’s Bay. Like all outdoor events the organisers were largely at the mercy of the unexpected. Thankfully the rain held off, however the performance was further enhanced by the arrival of small white dog, determined to find instant fame amongst the players. After causing fits of laughter throughout the audience, a quick thinking Polonius scooped up the ambitious pooch and held him during his dialogue. Exit dog stage right. This, coupled with the loud mambo music resonating from a nearby function room and random fireworks bursting in the background, resulted in a very memorable performance of Hamlet! Like me, I suspect more than a few spectators used the performance as a great excuse to escape from the kids for one night, under the pretence of getting cultured. I chose as my theatre companion a current HSC student who is studying Hamlet at school. She found the text and storyline much easier to understand after she saw the play performed live, so for all you HSC parents out there, check if your teenager is studying Hamlet and consider taking them along! A plastic backed picnic rug, in case the ground is damp. A picnic basket full of goodies. Alternatively you can buy food from the Watson’s Bay Boutique Hotel. It can get cold at night, so bring a warm jacket, scarf and a pillow. 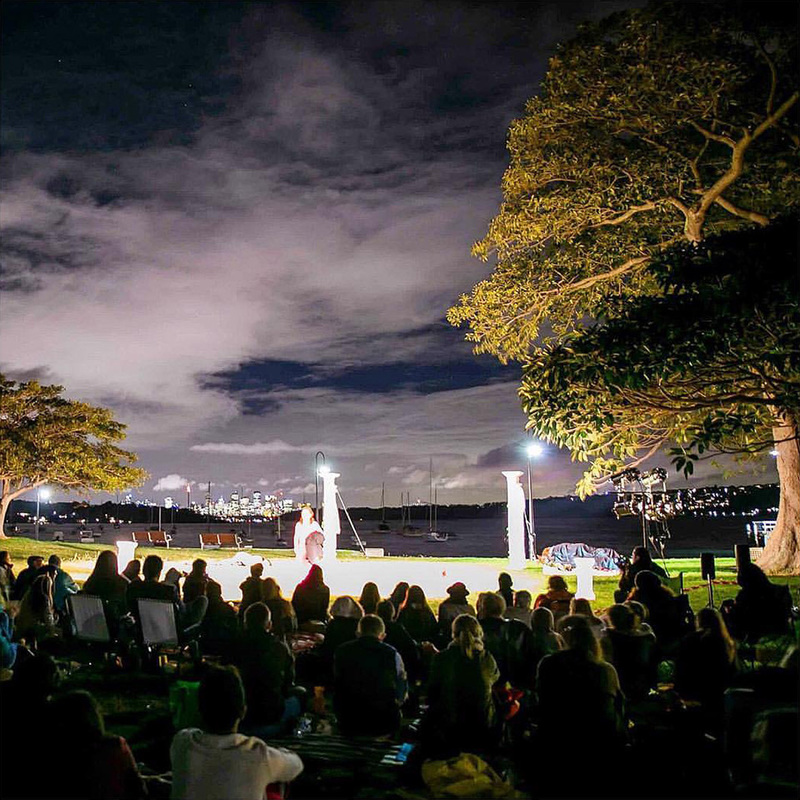 Shakespeare By The Bay: The Tragedy of Hamlet is showing at Watsons Bay from Friday 15 April to Sunday 17 April. Find out full details and book tickets here. Helena Leung is a high school English teacher who gave up the glory of classroom teaching for a quieter home life. She has two little girls, Alisa and Sofia, and is married to a Nissan Pulsar driving, Garage Band singing, Top Gun pilot wannabe husband. When she is not tutoring students on the finer points of Shakespeare and T.S. Eliot, Helena can be found stalking the haberdashery section of Spotlight in order to feed her fabric addiction. She also loves to make beautiful handmade hair clips, which she sells for practically no profit on eBay. Despite her lack of business acumen Helena enjoys her family life and exploring everything that Sydney has to offer. Weekends are often filled visiting parks, cafes and catching up with friends. One day Helena hopes to become very, very famous for writing a very, very good book (or review on ellaslist.) One day.